One of the myths that stylists or fashion insiders will have you believe is that curvy girls or large chested women can’t wear stripes. I have always refused to believe that and have been a stripe lover for years. 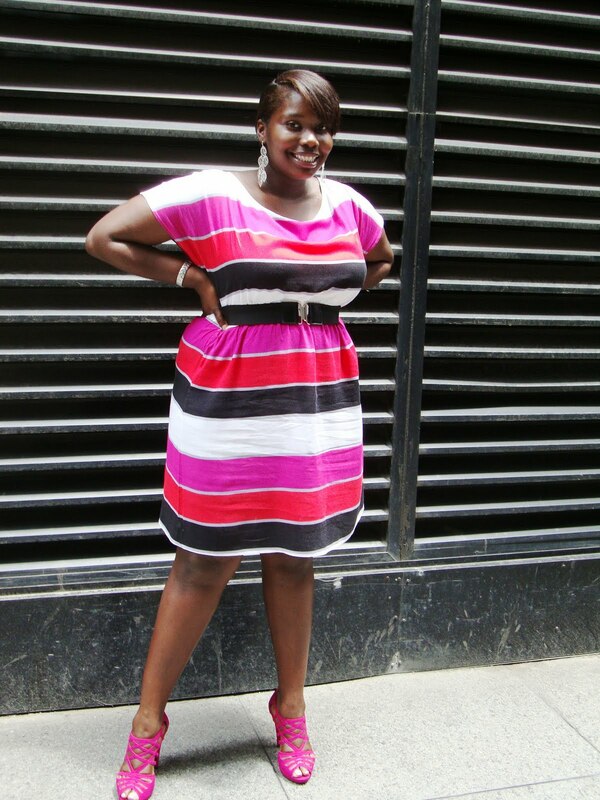 No matter the size, curvy girls can wear stripes. Its all about finding what works best for your body and what makes you feel and look your best. I bought this striped dress from Faith 21 last year, but, I had to get it taken in at the top because it was a little too big. A tailor works wonders for us curvy girls (I will talk more about this in a later post). 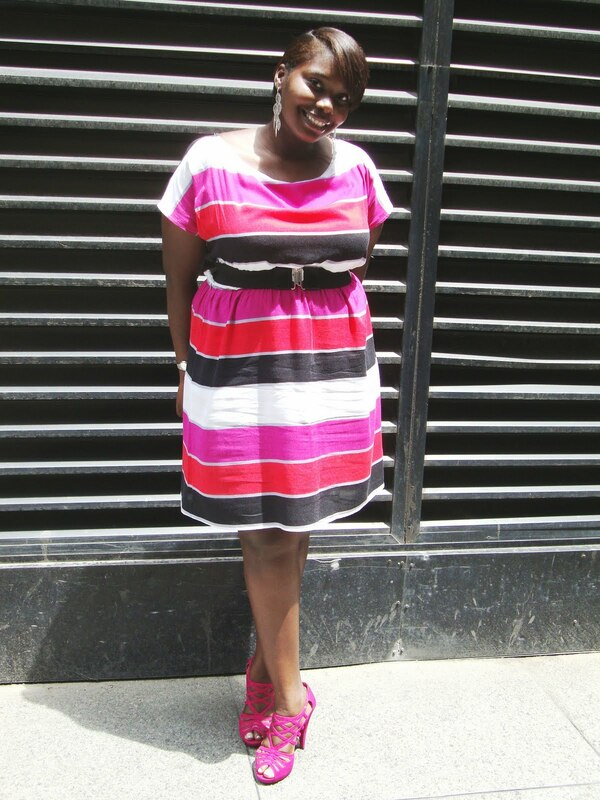 I was drawn to this dress not just because of the stripes but because of the mixture of bold colors. I wanted to keep the integrity of the dress by not adding too many accessories.because the dress stands out on its own. I chose to focus on the shoes and earrings to make the look more interesting. I was going to wear red shoes with this and a red belt, but,I decided against it and went for these super cute fuchsia gladiator style heels to make the pink in the dress standout more. I found these silver leaf earrings at Forever 21 when I was in Baltimore. When the Fall comes, I will add a little cropped leather jacket to toughen up the look, but, since it’s warm and sunny, I thought I would keep things girlie. If I, a curvy, large chested woman can rock stripes, so can you. Since the dress was a popular item. Faith 21 brought it back for the Spring season on their website. ***Also, today is the last day to use SC’s exclusive Fashion To Figure coupon. To receive 15% off your purchase use code FTF15CURVE.